You know Hydro Flask makes really good water bottles. But did you know you could customize them? From now until December 3, you’ll get 25% off when you build your own My Hydro. 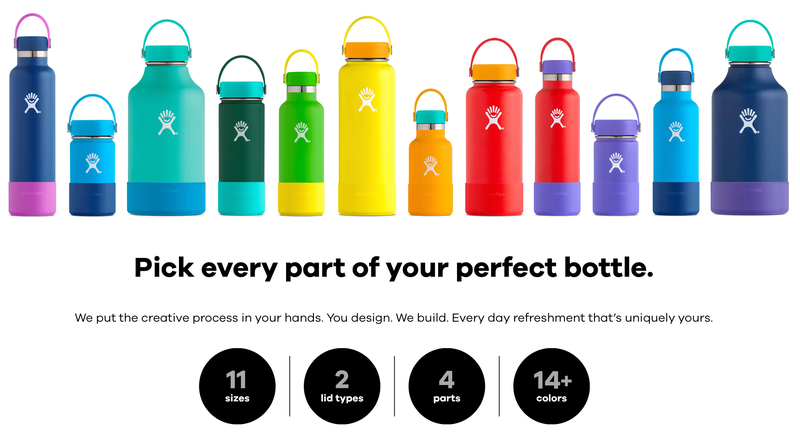 Choose from 11 sizes, two lid styles, and the colors for the bottle, the boot, the lid, and even the handle. Mix and match to create a work of art, or a horrible monstrosity. Either way, it’ll be a unique gift.